Furious 8 is coming in 2017, and who better to announce it but the lead star himself, Vin Diesel. Yes, you heard it right, the eighth installment of the immensely popular franchise is all set to be made by Universal Studios. Why wouldn’t they? The recent Furious 7 has broken records with drag speeds and Universal wants to cash in on the franchise even more. 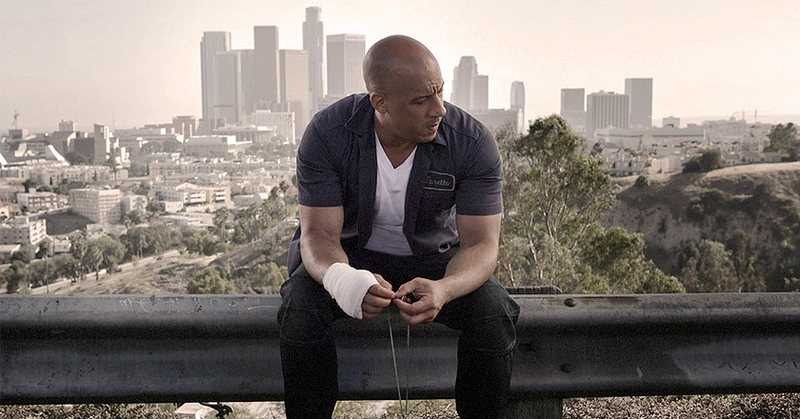 Furious 7 has engrossed a 1.1 billion Dollars as of yet and still going insanely fast at the box office track. Vin Diesel took to the stage of CinemaCon held in Las Vegas at Ceaser’s Palace and revealed the news during Universal’s presentation. “We’re going to make the best movie you’ve ever seen,” the actor said when announcing the release date. Diesel got emotional speaking about his late friend and the other half lead of the movie, Paul Walker. The director of the movie is not confirmed yet, but rumors suggest that Justin Lin who directed the Fast and Furious 3-6 might make a comeback for the movie. The movie is rumored to take place largely in New York with the primary cast members as well as Kurt Russell who had a short yet important role in Furious 7. To top off this news, there’s a possibility of Cody Walker, Paul Walker’s younger brother starring in the Furious 8. Yes, the role of Brian O’Connor might return. The title for the movie is still not confirmed as Vin Diesel announced it as Furious 8 yet the graphics on the screen flashed ‘The Next Fast and Furious’. It should be noted that Universal has been quite vocal in claiming that they want to make ten Fast and Furious movies at the least. The movie is set to release on 14th April, 2017.